The SPEAKER pro tempore (Mr. BRADY of Texas). Under a previous order of the House, the gentleman from Texas (Mr. PAUL) is recognized for 5 minutes. Mr. PAUL. Mr. Speaker, we will this week fully debate the issue of school violence. If we had remained a constitutional republic, this debate would not be going on. I sincerely believe this kind of violence would be greatly reduced, and for the violence that did occur, it would be dealt with as a local and school issue. Responding emotionally with feel-good legislation in the Congress serves no worthwhile purpose, but makes the politician feel like he is doing something beneficial. In dealing with the problem of violence, there is a large group here in the Congress quite willing to attack the first amendment while defending the second. Likewise, there is a strong contingency here for attacking the second amendment while defending the first. My question is this: Why can we not consistently defend both? Instead, we see plans being laid to appease everyone and satisfy no one. This will be done in the name of curbing violence by undermining first amendment rights and picking away at second amendment rights. Instead of protecting the first and second amendment, we are likely in the name of conciliation to diminish the protections afforded us by both the first and second amendment. It does not make a lot of sense. Curbing free expression, even that which is violent and profane, is un-American and cannot solve our school problem. Likewise, gun laws do not work, and more of them only attack the liberties of law-abiding citizens. Before the first Federal gun law in 1934, there was a lot less gun violence, and guns were readily accessible to everyone. However, let me remind my colleagues, under the Constitution, gun regulations and crime control are supposed to be State issues. There are no authentic anti-gun proponents in this debate. The only argument is who gets the guns, the people or the Federal bureaucrats. Proponents of more gun laws want to transfer the guns to the 80,000 and growing Federal Government officials who make up the national police force. The argument made by these proponents of gun control is that freedom is best protected by the people not owning guns in that more BATF and other agency members should have them and become more pervasive in our society. It is disingenuous by either side to imply that those who disagree with them are unconcerned about violence. Everyone wants less violence. Deciding on the cause of the hostile environment in our public schools is the key to solving this problem. Number two, public school violence has increased since the Federal government took over the public school system. Number three, discipline is difficult due to the rules, regulations, and threats of lawsuits as a consequence of Federal Government involvement in public education. Number four, reading about violence throughout history has not been a cause of violence. Number six, the governments practice of using violence to achieve social goals condones its use. All government welfare is based on the threat of government violence. Number seven, Star Wars technology, casually displayed on our TV screens showing the blowing up of bridges, trains, sewer plants, and embassies all in the name of humanitarianism glibly sanctions violence as a proper tool for bringing about change. Number eight, the Federal governments role in Waco and the burning alive of innocent children in the name of doing good sends a confused message to our youth. Number nine, governments role in defending and even paying to kill a half-born child cannot but send a powerful message to our young people that all life is cheap, both that of the victims and the perpetrators of violence. More gun laws expanding the role of the Federal government in our daily lives while further undermining the first and second amendment will not curb the violence. Understanding the proper constitutional role for government and preventing the government itself from using illegal force to mold society and police the world would go a long way in helping to diminish the violence. Ultimately, though, only a moral society, with the family its key element, will make the citizens and the government less violent. 1999 Ron Paul 60:2 In dealing with the problem of violence, there is a large group here in the Congress quite willing to attack the first amendment while defending the second. Likewise, there is a strong contingency here for attacking the second amendment while defending the first. probably should have the amendment names capitalized: In dealing with the problem of violence, there is a large group here in the Congress quite willing to attack the First Amendment while defending the Second. Likewise, there is a strong contingency here for attacking the Second Amendment while defending the First. 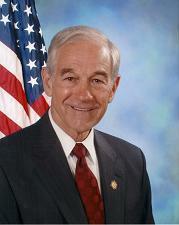 1999 Ron Paul 60:3 second amendment probably should be capitalized: Second Amendment. 1999 Ron Paul 60:4 first and second amendment, we are likely in the name of conciliation to diminish the protections afforded us by both the first and second amendment. probably should have the amendment names capitalized: First and Second Amendment, we are likely in the name of conciliation to diminish the protections afforded us by both the First and Second Amendment. (cf: North and South Dakota). 1999 Ron Paul 60:18 first and second amendment probably should be capitalized: First and Second Amendment.